Knowing which driver is using a vehicle at any given time is useful to any fleet manager, especially when not all drivers use the same vehicle. The ability to assign individual drivers to a vehicle is an effective reporting tool that allows you to manage your fleet when multiple drivers have access to shared vehicles. With driver identification, you can access electronic logs with ease through our GPS reporting dashboard or our mobile applications. Individual driver logs help any fleet manager know the time a driver steps in and out of a company vehicle and which vehicle was operated. Driver identification with our advanced tracking technology allows you to keep records of individual driver habits. Compliments, complaints, and any vehicle damage by an employee can be identified through driver logs. Timestamps being available on individual drivers lets you to track payroll efficiency, employee overtime, and unauthorized vehicle usage. 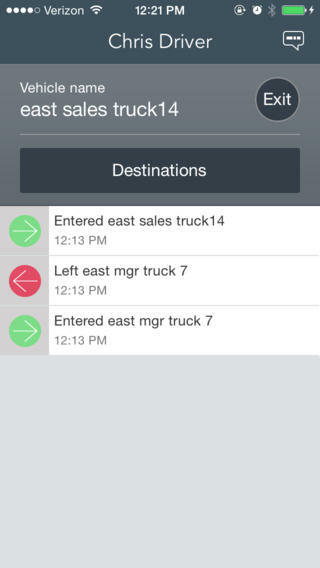 With electronic driver logs, you can adjust your fleet to maximize employee productivity and vehicle efficiency. Drivers can check into a number of predetermined fleet vehicles. Separate driver data is available in the reporting features. The overview provides managers a view of all vehicles in real time. Zooming allows managers to focus on any particular vehicle.